When I was diagnosed with an autoimmune disorder two years ago I became super aware of just how much our overall health relies on our gut. From a naturopathic standpoint this condition is directly linked to poor gut health which is likely to be triggered by food allergies. As dogs are commonly fed diets filled with allergens and are given successive chemical treatments it’s no surprise that they would be very susceptible to poor gut health. Read on to find out how to preserve your dog’s gut health with some excellent advice by our Canine Naturopath contributor Lyndall Pinchen. DID YOU KNOW that many of the degenerative diseases facing our dogs today originate from poor gut immunity. What do I mean by gut immunity??? Around 80% of the immune system’s white blood cells can be found in the gastrointesinal tract. Along with these are also millions of good bacteria (probiotics) which have a positive stimulating effect on these cells as well as assisting in the production of antibodies. All this helps keep the digestive system balanced and healthy as well as impacting positively on the immune system. However, stress (of any kind), poor or inappropriate diet (excess grains or processed foods etc), antibiotics and steroids, over vaccinating and chemicals in flea and worming treatments can, among other things, all lead to an imbalance between good and bad bacteria in the gut. Dysbiosis and leaky gut syndrome, diarrhoea/constipation and yeast infections can all result in the short term, but longer term, it can lead to chronic inflammation throughout the body which may be in the form of arthritis, diabetes, allergies, autoimmune disease, skin problems, seizures and many cancers. So it makes good sense to protect the digestive system as much as possible whatever the age of your dog. In fact, starting a gut health program from puppyhood makes great sense as this is the time when a young pup is still building immunity. I like to use a number of different nutrients and herbs to help detox, heal and rebalance the gastrointestinal tract and these include probiotics, digestive enzymes, zinc, L-glutamine, fish oils, antioxidants, colostrum and an assortment of herbs including Turmeric and Slippery Elm. The aim is to cleanse the gut of any parasitic, viral, yeast or bacterial presence, and then assist healing and rebalancing the intestinal tract to ensure strong immunity once again. This is achieved by the use of various probiotics along with the other above nutrients. Maintaining the balance of good bacteria in particular is essential to the overall health of the gut and immune system. Think of these good bugs as the frontline defense in the battle against any foreign invader. It can sometimes take a few months for this process to be fully effective but at this point, a maintenance approach can be taken, managing through diet primarily and lower doses of certain supplements. Even if your dog appears to be healthy, providing nutritional gut support through a raw and grain free diet and some well chosen supplements can have a significant impact on their long term health especially as they age. It is well worth the effort to help keep your dog’s digestion in tip top shape as this will have a positive impact on his or her overall health for the rest of their lives. 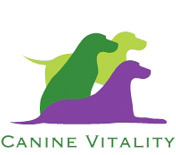 For more information on liver cleansing of general detoxification, please feel free to contact Lyndall Pinchen from Canine Vitality. Since posting this I’ve just read a very interesting article on the positive health impacts associated with children growing up with dogs. It turns out that kids with dogs are more resistant to illness due to the fact that dogs bring in more healthy bacteria into contact with kids which improves their all important gut health. You can read more on this here. Could your dog’s food be making him sick? May 23, 2013 | Filed under Canine Health. 2 Responses to What does gut health mean for your dog? is the pooch……and it was all that simple……..Now….we are trying to get him in the CAR and not having the trifactor affect…of peeing…pooing and throwing up…..all at the same time……..any suggestions without PILLS…. We use a Travel Box to take him to Doggie DayCare……and then hose it out…..? PS He is still catching his Glow In the Dark Ball….He only likes that one……? 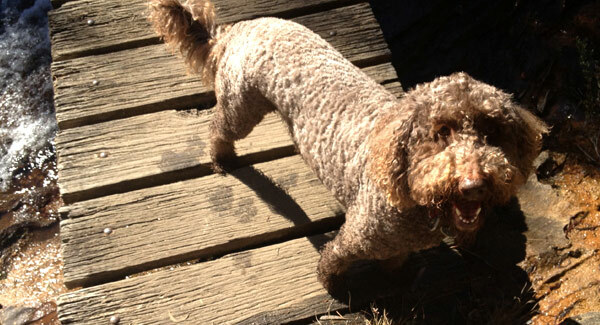 The fact that your poodle has had digestive issues and is still losing control of bowels and bladder in the car will most likely mean that there is an underlying anxiety issue and I would look at addressing this by using herbs or homoeopathics aimed at balancing not just the nervous system but settling the gut and toning bladder and kidneys also. These would be given on an ongoing basis for a period of time to allow the body to balance out, and not just when you are taking the dog in the car. Feel free to contact me for more info on this.